The Kentucky Folklife Program and WKU Folk Studies are hosting a Kimchi demonstration on April 27th at 4:00pm in the Confucius Institute Kitchen as part of Western Kentucky University‘s International Year of South Korea. 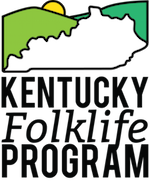 Open the public, Kyu Frohman of Radcliff, KY will lead the demonstration, and will share memories about family traditions tied to making and eating Kimchi. The event is free and open to the public. If you are a WKU student, the event will also be “swipeable” for your Student Engagement Activities Transcript. The Confucius Institute Kitchen is located in WKU’s new model Confucius Institute building on Normal Street, not to be confused with the Confucius Institute’s space in Helm Library. The new Confucius Institute building is next to WKU’s Honors College and International Center. While the brand-new Confucius Institute building is not on the campus map yet, you can get directions by locating the Honors College and walking to the next building over (single-story building with a garden). Previous Previous post: It’s that time of year! Next Next post: Kentucky’s headed to Missouri!